A new study published outside of North America in the journal Nutrition, an international peer reviewed journal on Human Nutrition has found that Extra Virgin Olive Oil – EVOO may have protective benefits against GMO damage. The researchers who conducted the study were from the UK , Saudi Arabia and Egypt. The study involved 40 male albino rats who were fed GMO soybeans, and some also received Olive Oil. “The study revealed that rodents who were given (extra virgin) olive oil and genetically modified soybean displayed reduced DNA damage in the spleen compared to rodents who consumed only GM soybean”. The researchers also concluded other protective effects from EVOO “against chronic diseases such as liver fibrosis, hyperlipidemia and diabetes” and that these finding warranted further research into the effect on humans. The study was funded by the Deanship of Scientific Research (DSR) at King Abdulaziz University. This study is yet further evidence of the health benefits of Olive Oil and therefore the importance of adding this food to your diet where ever possible. Read more about this study at the Nutrition journal, as well as brief summaries here and here. 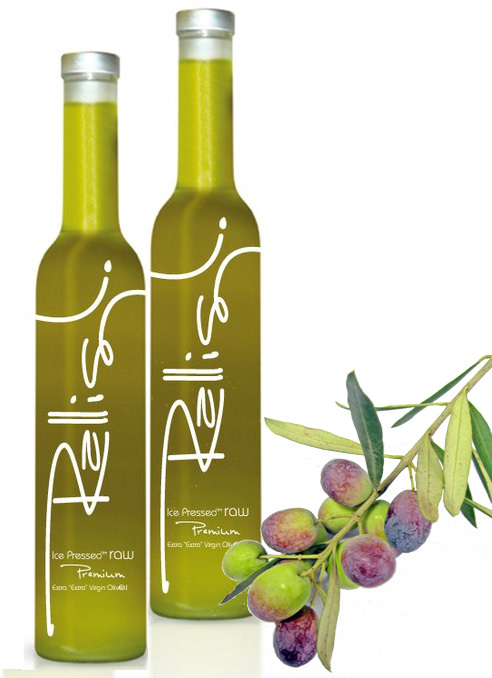 The olive oil pictured above is the Rallis Olive Oil brand, the world’s only ice pressed olive oil. This method allows for the preservation of more of the oil’s health providing nutrients.